In many places or public facilities such as public library, university, airport, restaurant, and even mini market, there might be a free Wifi access so we can connect to the Internet with our laptop. Unfortunately, most of that free stuff comes with limitation for each connection (time limited or bandwidth limited). Once you reached the limit, you'll be disconnected or not be able to use the Internet. There are may workaround to cheat with that, one of them is changing MAC Address. In this post, I'd like to show you how to change the MAC Address and reset it to its original. It will print the available network interfaces on your system. The wireless network interface starts with "wlan" so there should be "wlan0", "wlan1", or "wlan2". 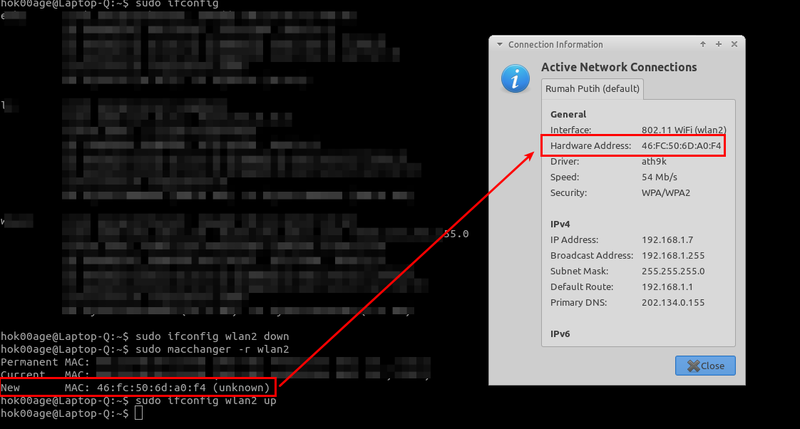 In my computer, I have "wlan2" as my wireless network interface. 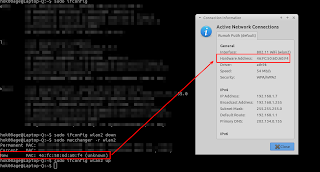 Now, please disconnect and connect again to the Wifi and you should have a new MAC address on connection details (see the first picture in this post). 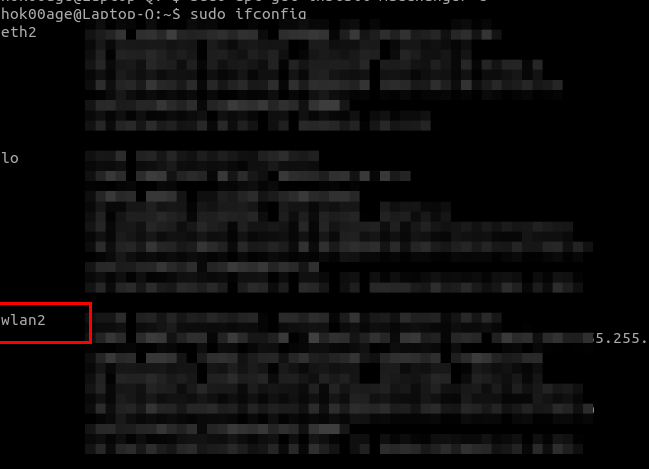 There are many other options of macchanger command, you can discover it by typing "sudo macchanger --help" or "man macchanger" (without quotes).